After years of back-and-forth litigation, it was announced this week that Apple will begin paying out the 13 billion Euros ($15 billion) it owes in back taxes to the Irish government beginning next month, according to a Financial Times report which cites “illegal tax benefits” allegedly granted to the Cupertino-company spanning as far back as 2003. While both Apple and Ireland have repeatedly appealed the European Union’s (EU’s) judgment handed down back in August 2016, Apple was nevertheless ordered to begin paying the hefty sum of back taxes into an escrow account established by the EU beginning in May of this year, the report noted. Apple and Ireland’s battle with the EU has been long fought and appealed several times since the issue was thrust into the legal arena years ago, and the Silicon Valley tech-giant will allegedly begin paying back the money even as both itself, and Irish government, plan to continue appealing the judgment. Back in 2017, Ireland faced the prospect of being fined by the EU for non-compliance with the governing body’s ruling. Though earlier this year, Bloomberg reported, a payment schedule for Ireland receiving the approximately $15.4 billion sum had been established by the EU — with the first back payment scheduled to enter the escrow account in May and the last being deposited around September, 2018. At the center of the original dispute is whether the extremely low 0.005% effective tax rate granted to Apple by the Irish government was legally allowed. 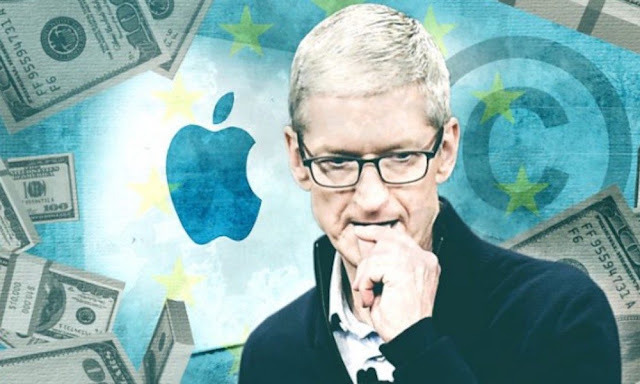 While the EU has repeatedly challenged the “incentivized” tax rate as a “special arrangement” granted only to Apple, both Cupertino and the Irish government have remained steadfast in their rejection of the EU’s notion. Despite the back-and-forth appealing which has gone on for almost two-years now, it’s expected that given the sheer magnitude of the $15 billion being contested, if these appeals continue (and they more than likely will, knowing Apple) then we could be looking at another few years of the same legal drama. In the meantime, the Irish government will hold Apple’s payments in the dedicated escrow fund — and, if in the event the Cupertino-company ends up winning any of its future appeals, either a portion or whole of the money will be given back.